Canada's annual seal hunt has ended with only a quarter of the annual quota of seals being caught. Fishermen blame plummeting prices for seal pelts and an impending EU ban on seal products. Many hunters from fishing communities in eastern Canada didn't even bother taking their boats out for this year's seal hunt. 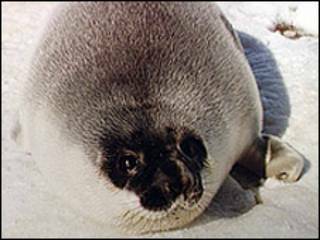 The market price for a seal pelt is around 12 US dollars, a steep decline from a peak of 100 dollars a pelt a few years ago. The seal quota had been set at 273,000, but this year those who ventured out barely took 70,000. The depressed value of the Russian rouble and the subsequent erosion of one of Canada's largest markets for seal products, is partially to blame for the decline in numbers. China is another major customer, also reeling from the global recession. But it's clear that the prospect of a European Union ban on seal products and growing international disdain for the hunt is becoming a major factor in its near collapse. The European parliament passed the ban in May, but it still needs the backing of EU governments. That is expected to be a formality. Canadian fisheries officials admit that they have an uphill battle in what has become an emotional international debate. Animal rights groups have successfully campaigned for decades against the seal hunt. The annual kill has been a source of critical seasonal income for fishing communities already hit hard by dwindling fish stocks. But some here are wondering if this could be the beginning of the end for the centuries-old practice.